WHEREAS the Client wishes to acquire, through the platform of Artshift, an artwork. The preamble is an integral part of this contract. The Client must pay the representation costs of 15% on the price paid by the Client for the acquisition of the artwork as well as any applicable taxes in payment of the Services rendered following this contract. The Client must pay to Artshift the delivery charges, the handling charges and the installation charges, when applicable. Upon the sale of an artwork made by an artist who is still alive, a 1% royalty on the sale price of the artwork will be paid by the Client to Artshift, who will deliver it to the artist afterwards. Artshift is responsible for the artwork in the period corresponding to the moment when the artwork is taken by its representative at the seller’s place until it is delivered to the Client. Upon the reception of the artwork, the Client ratifies a condition report of the artwork. Following this ratification, the Client cannot hold the seller or Artshift responsible for the condition of the artwork. Artshift shall not be responsible in the event of a lack of authenticity of the artwork that his specialist would not have found. Only the seller of the artwork shall be responsible for such default. Artshift shall not reveal the identity of the Client to anyone, except as provided by the applicable law. 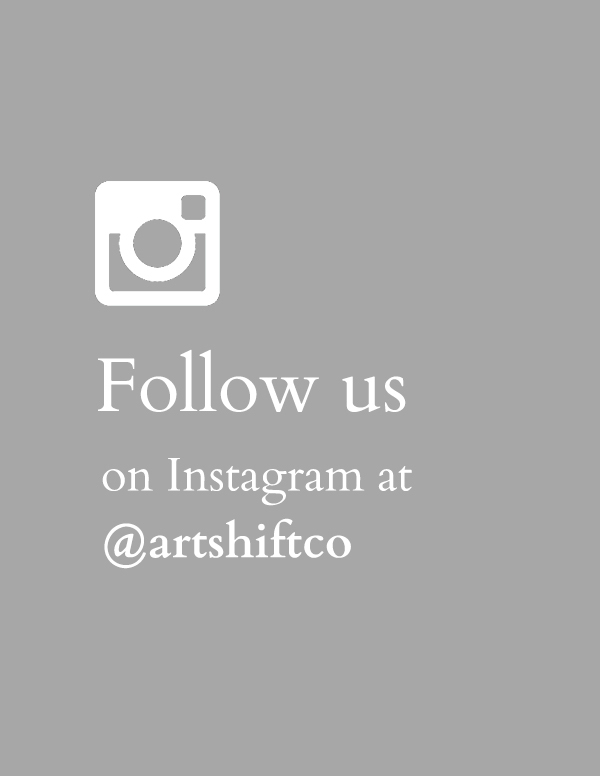 Artshift shall keep confidential all information transmitted by the Client in connection with the purchase of the artwork. The artwork is on sale at a fixed price set by the seller. The Client may make lower offers. If an offer lower than the price displayed is filed by the Client on the platform, Artshift notices the seller and asks about his will. The Client, after acquiring the artwork, shall be available to allow the reception of the artwork in a period of thirty (30) days following the purchase. If the Client is unavailable within the thirty (30) days period, a penalty will apply and the Client will be responsible for any cost for the storage of the artwork. Unless a storage arrangement is taken, in the event that the Client would still neglect to recover the artwork within the period of thirty (30) days following the purchase, Artshift could then sell the artwork at the best possible conditions. Artshift, after having paid the various representation and storage costs, shall reimburse the Client. The payment to Artshift of the selling price of the artwork is to be made online by credit card, at the moment of the purchase. Artshift undertakes, should there be a problem with the payment, to suspend the sale process for a period of three (3) business days to allow the Client to rectify his situation. Unless agreed otherwise, the Client agrees that any material prepared by Artshift to promote the artwork, including any images or videos, could be retained by Artshift in order to promote the platform. The prices displayed on the Artshift platform will include all applicable taxes, if any. The only visible taxes will be the taxes applicable to Artshift representation costs. Artshift cannot be considered in default in the execution of its obligations when such execution is delayed, prevented or retained as a result of force majeure. Force majeure is any cause unrelated to the will of the Parties hereto, that they could not reasonably have foreseen and against which they could not protect themselves. Force majeure includes, without limitation, any act of God, strike, partial or complete work interruption, lockout, fire, riot, interference by civil or military authorities, compliance with the regulations or orders of any government and acts of war ( declared or not). Any decision of a court stating that any provision of this agreement is invalid or unenforceable shall not affect the validity or enforceability of the other provisions of this agreement. Article 9 – Applicable law. The contract, its amendments and any dispute arising from them shall be governed by the laws of the Province of Quebec. Upon reception of the artwork, the buyer ratifies an artwork’s condition report. Following the ratification, the buyer may not hold the seller or Artshift responsible for the condition of the artwork and cannot return the artwork. If, upon reception, the buyer discovers that the condition of the artwork is not compliant, he may refuse the work. The payment of the artwork’s sale price and the representation costs of Artshift will then be refunded. The buyer must present to Artshift representative any document evidencing the purchase of the work. Any refund will be issued in the same form as the original payment. Refund will be made upon reception of the returned artwork by Artshift. Following the refusal, the buyer must present to Artshift representative any document evidencing the purchase of the artwork. Following the resumption of the artwork, the buyer will be refunded upon its reception by Artshift. For any questions, the buyer can contact the Artshift help desk at 1-888-211-7574 or by email at info@artshift.co.